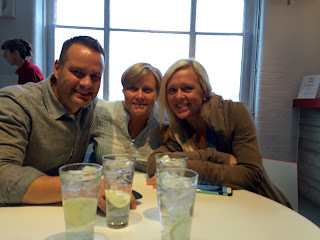 I'll admit to enjoying a G&T as the gin and tonic is affectionately called here in London. 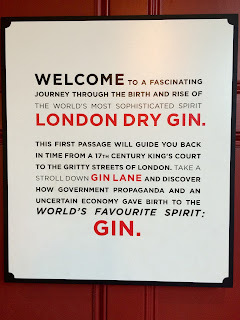 Gin is very much a part of London's history so when visiting friends Tim and Anji expressed an interest in learning something about gin whilst here in London, we thought it was a good opportunity to visit the Beefeater Gin Distillery. 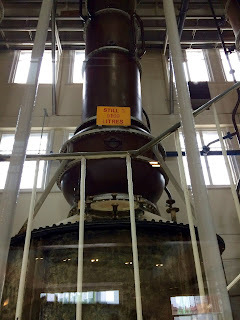 I'd also heard that the tour was pretty interesting so off we went to learn about this flavorful spirit. 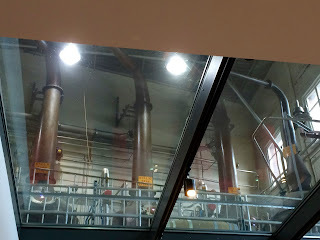 The tour was interesting. 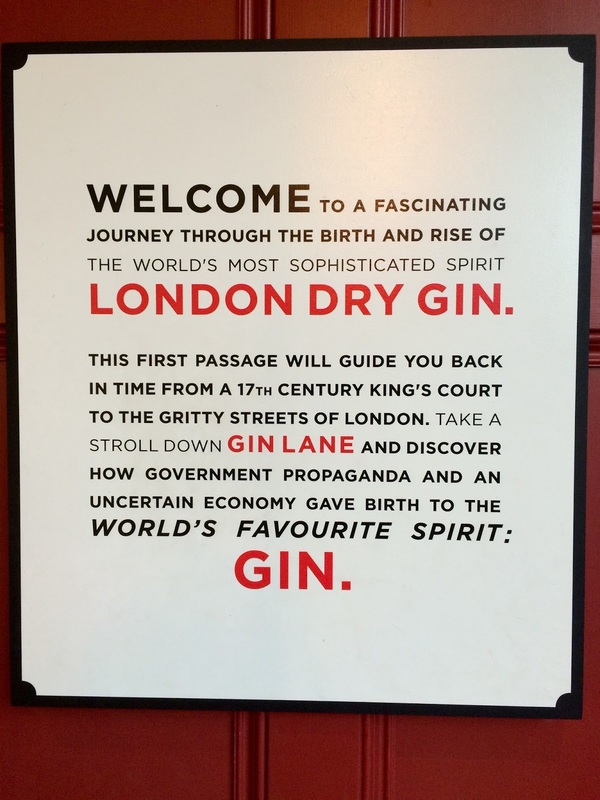 The first half hour you were given a chance to wander through a history of gin making in London. Some of the early recipes were pretty nasty, touting turpentine as a central ingredient. One part of the exhibit showed an attempt to lure people away from the evils of gin and instead stick with the virtues of beer. I found that a bit ironic and humorous. But it was quite interested to discover that the gin and tonic emerged in India as the Brits needed to take quinine to ward off malaria and they found it went down a bit easier if added to gin. Quinine is still what gives tonic it's bitter flavor and thus it was discovered that not only does gin make the quinine go down easier, the drink itself is good tasting! 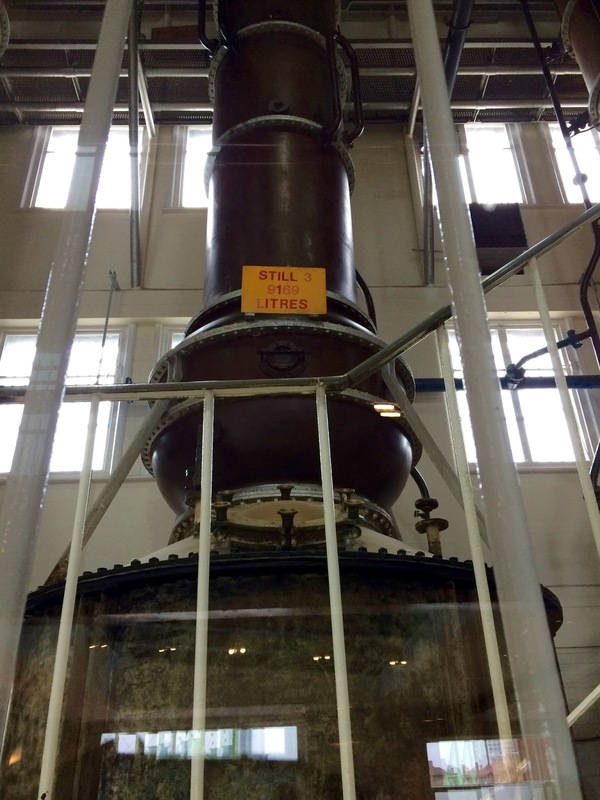 As with all spirits, the quality and flavor of gin can vary depending on the distilling process. Beefeater claims 9 different botanicals which include the must have juniper berry and angelica seeds, both which in my opinion really hinted at what makes gin gin when I tasted and smelled them, which we were able to do during the second part of the tour. 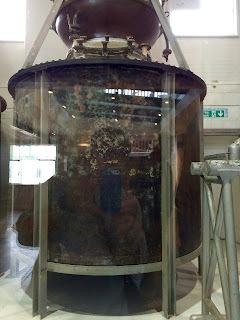 We were taken near the stills and shown barrels of the various botanicals. It's quite a long process to get the to heart of the alcohol that is kept and eventually mixed with water and bottled to be sold as Beefeater Gin. The displays of bottles and adverts through the years was fun to look at. 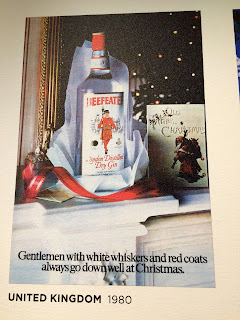 I thought this add for Christmas 1980 was quite clever and it brought a little smile to my face! It was all very well done and quite interesting. 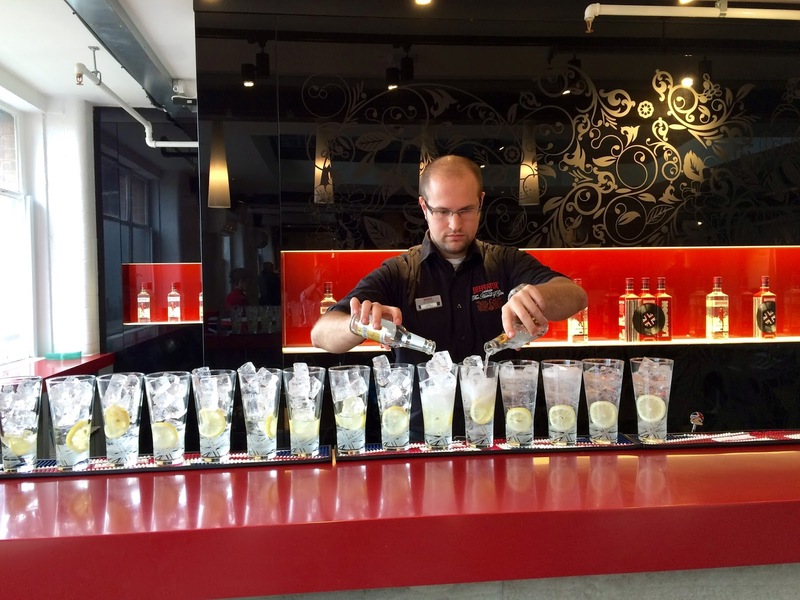 Of course, at the end, you were treated to a classic Beefeater Gin and Tonic with lemon! 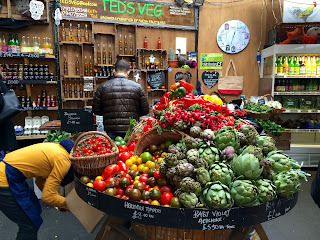 So full of knowledge about one of our favorite drinks, we headed for Borough Market which wasn't too far away. 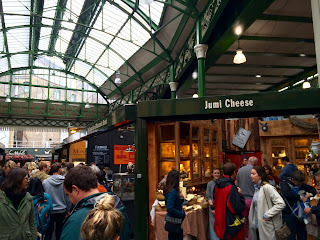 Here we entered a neighborhood that is south of the river Thames and had an old school London feel. 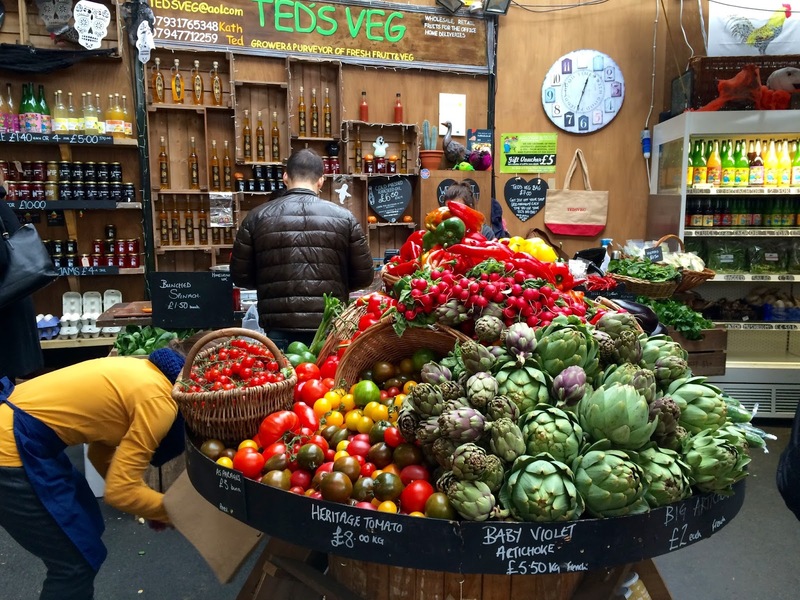 There has been a market in this neighborhood as far back as the 11th century and today's market reflects a great sense of history and community. Food of all kinds dot the various market stalls. 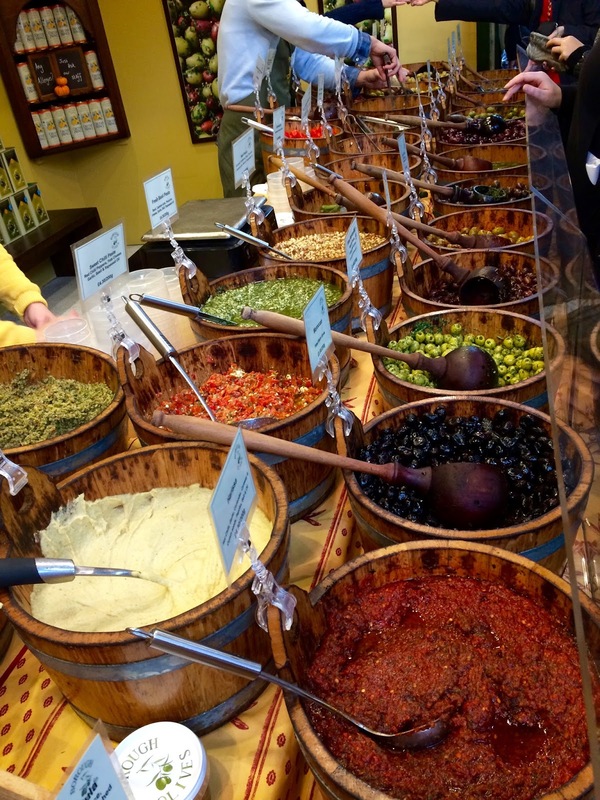 Samples of cheese, olives, breads, spices, etc. 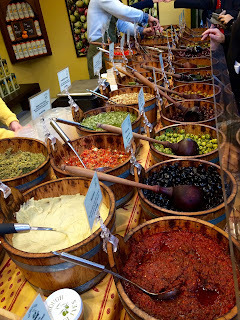 are on offer and it's quite fun to wander the amidst the warren of goods and vendors. Saturday was hugely crowded so it wasn't easy to get around but we got a good taste of this bustling market scene and we left with a few tasty treats in our possession. The best part of the day was sharing it with our dear friends!